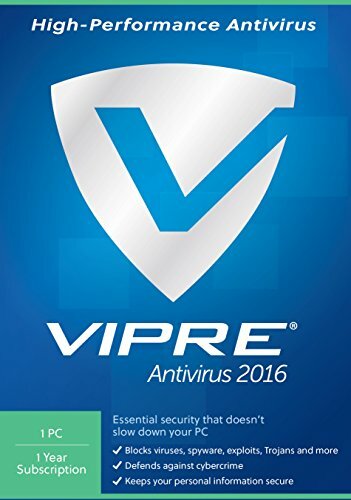 VIPRE Antivirus 2016 is the essential antivirus software that detects, removes, and blocks all types of malware without slowing down your computer. 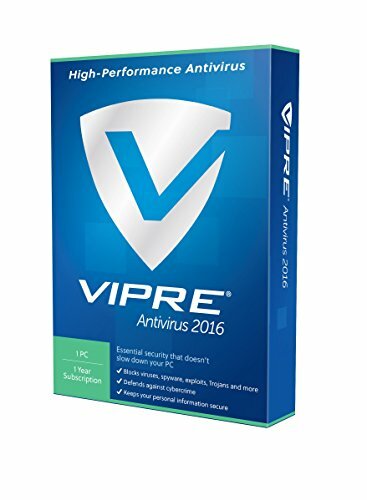 Protects one PC for one year. Free US-based technical support.